So you have made the big decision to move abroad and need to get starting on the planning and preparation of the mammoth journey ahead. You need to work out a budget, decide how much you need and spend time and energy on packing and shipping your goods. However, many people often forget the aftermath and the money you will need once you have moved into your new home. To give you a little helping hand here are a few pointers to help you plan your budget effectively for your overseas move. When moving to your new home you are going to need to set up your gas, electricity, broadband, water rates, satellite/cable TV etc with your new suppliers. This will usually require installation fees and can become quite a costly affair if not looked into carefully. There are thousands of comparison websites out there that can help you find the best deals for you and your home. Make sure you try these out so you can save money on household bills. It may be the case that the furniture you sent over with your removals company doesn’t actually suit the style of the house anymore. However, you dragged it all the way over to the other side of the world, paid money to have it sent to have you throw it away and buy new furniture when you arrive. Be ruthless and practical with your personal belongings. If you know that you will be buying a new sofa once you get there, then there really is no point sending the old one over, it’s a waste of time and money for you. Work out a budget for your furnishings so you know how much you can afford to spend when you arrive at your new location. If you have bought a house which needs a lot of work doing to it, you need to weigh up the costs before you go ahead with the renovations. There can be a lot involved in this and it’s important that you plan this carefully. You may also need to consider alternative accommodation while the house is being renovated, so take this into consideration too. Be prepared to spend a whole load of money at the supermarket when you move into your new home. You may have sent a few bits and pieces over however you are going to totally need to restock your cupboards, fridge and freezer so keep this in mind. The previous owners will most likely of given the place a good clean before they left, however you will probably want to get your own cleaning gloves on to add your own touch. From professional carpet cleaners to new cleaning equipment, make sure you set some money aside for this too. 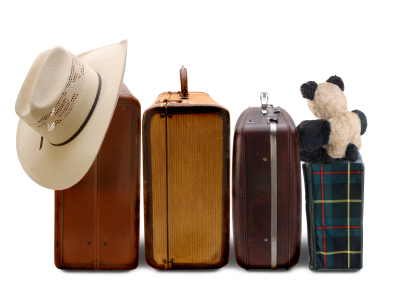 There are a lot of things to consider when moving abroad and it is highly important that you keep organised throughout. If you are looking for a removals company to ship your goods to your new home, visit Robinsons removals today, the expert international removals company to keep you completely organised and everything running smoothly for your international move.